The first step in getting your Texas license to carry is to take the class. The required material taught in class is on a very basic level and easy to understand. We will cover the application process in the class so there is nothing you need to do before taking the class. 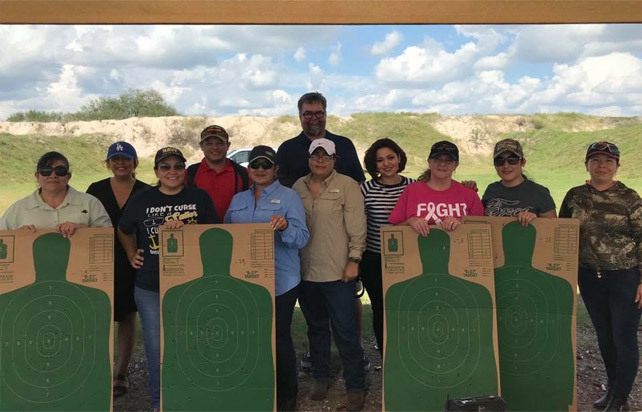 The shooting qualification portion of the course is required by the State of Texas to demonstrate your ability to safely and properly handle and shoot a handgun. 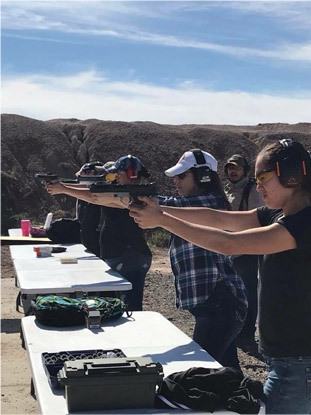 New shooters are always welcome and often don’t have any issues with the shooting qualification portion. Semi-automatic handgun or a revolver (unloaded and in a box) in good repair and have NO modifications that will make the handgun less safe. NO RELOADED, HANDLOADED or SURPLUS AMMUNITION ALLOWED. Use commercial ammunition only. Cost per student is $65.00 including range fees, target and eye and ear protection (if needed).